Dry Aging requires a certain degree of meticulousness. For the window between maturity and decay is small. Only under the right conditions will the meat become a high-quality delicacy. Drying involves chemical processes. This produces “good” bacteria, which decompose enzymes and make the meat more delicate and taste-intensive. If hygiene and climatic conditions in the ready-to-use cabinet are not correct, however, “bad” bacterial strains can also arise from germs. They spoil the meat even before it reaches the desired maturity level. A temperature of two degrees and 85% humidity is considered as optimal conditions for the dry aging. To create the ideal climate, however, is not so simple. The second hurdle is constancy. Because the conditions should not change during the maturation process – which can take up to 8 weeks. A modern drying cabinet such as the Dry Ager has been developed precisely for this problem. 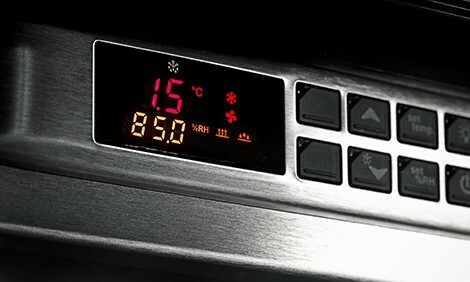 Temperature and humidity can be precisely regulated and controlled. For this, the Dry Ager does not need its own water connection, which is why it is so popular in smaller catering establishments and private households. 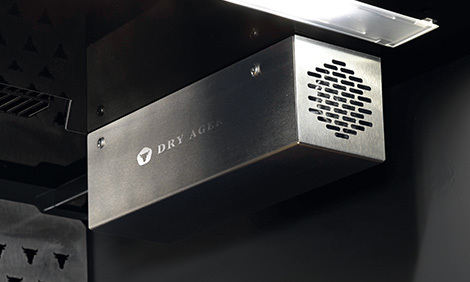 Through an intelligent ventilation system, the Dry Ager sterilizes the air in the tire cabinet automatically. The microclima is not disturbed even when the cabinet is opened. With such a technique, Dry Aging can not go wrong. High-quality technology deserves good care. This means that the equipment lasts longer and remains operational. Dry cleaning in a maturing cabinet requires a clean working tool. Regular cleaning of the Dry Ager is therefore necessary. The Dry Ager not only convinces through its inner life. The stainless steel design and the glazed door make it also optically the highlight. However, the material selection not only looks good but also has the advantage that it is easy to clean. The meat must not be subjected to excessive temperature changes during transportation. When cutting, surfaces and tools should be cleaned and disinfected beforehand. Handle the meat only with gloves. An eye shield and a hairnet or a hood provide additional protection. When hanging the pieces of meat in the refrigerator compartment, place enough space so that the parts do not touch. Dry aging means dry maturation and it only works when the water can escape from the muscle tissue. Too high humidity also prevents evaporation. If moisture remains in the meat, it spoils it from within. Humidity of max. 85% has proved its worth. Too low humidity will dry out the surface preventing moisture from evaporating.